Following his implementation of an Altec Lansing 604 in the Yamamoto YS-604 loudspeaker model—Japan's answer to the challenge Jean Hiraga addressed in his own tribute to that famous driver—Shigeki-San's new YS-500 too is a thoroughly old-fashioned affair. It's an apparently boxy high sensitivity 2-way speaker with a monstrous 38cm/15" Neodymium-powered woofer, a horn-loaded compression tweeter and a nominal 8-ohm impedance to suit even the company's lowest-power SET. One glance around the back eliminates the "apparently" (boxy that was). There's no back. It turns the YS-500 into a modified open baffle instead. 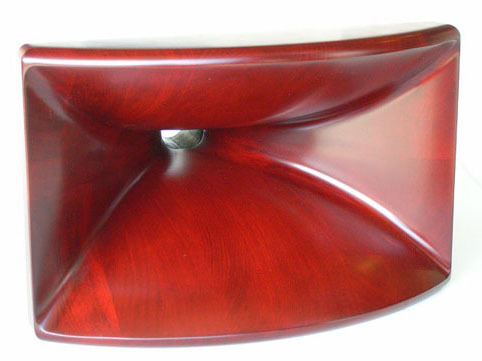 The laminated and calibrated solid Cherry horn quite literally squares another circle, beginning as it does with a round throat that smoothly transfigures into a flared rectangular mouth. Yamamoto experimented with bass reflex loading types and in the end preferred the greater sonic vitality of the open baffle concept. To reduce the cosmetic impact of a 1m x 1m open baffle flapping in the chill winds of domestic disapproval, parts of it were folded back. This arrives at an open-backed box of 460mm width, 560mm depth and 996mm height that's been assembled from 21mm thick panels. Like the horn, this unclosure relies on laminated Asada Cherry that's been sealed with Urethane lacquer. Yamamoto is a big believer in the acoustic properties of materials and enjoys the musical instrument qualities of Japanese Cherry which shows up also on his amplifier decks. A 6dB/octave filter network of three parts includes an attenuator for level adjustments, a cut-core 100-watt copper foil inductor and an Ebony-encased polypropylene capacitor sourced from the American Dearborn Co. The transition frequency hovers at 1.2kHz. The high single wire terminals are pure-copper Yamamoto issue. 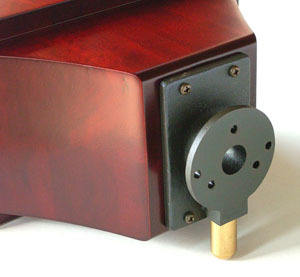 A strategic brass rod across the woofer magnet increases baffle coupling for claimed LF improvements while 25mm long African Ebony footers become the floor coupling interface. The woofer grill eschews traditional stretched cloth in favor of perforated aluminum but is to be removed for best sonics. Quoted frequency response is 35Hz to 18kHz. The general YS-500 concept reminds us why vintage Tannoys continue to enjoy popularity in the Land of the Rising Sun. Taking a high-efficiency big paper cone woofer right up to the presence region is part of that recipe. Aficionados of the breed will instantly wonder. Which drivers are used? €7,500/pr for the YS-500 is rather less than the €18,500 Jean Hiraga demands, the latter's design reliant on authentic dual-concentric Altecs completely refurbished and augmented by two super tweeters. "We had used the Altec 604 to demonstrate our amplifiers in auditions. Although the Altec 604 was a good speaker, I was dissatisfied with its reproduction capabilities on modern music. Therefore we created the YS-500 to become our new in-house reference speaker. The most important aspect for the successful audition of any single-ended tube amp is speaker efficiency. The YS-500 is 98dB/W. This is sufficient for power amplifiers of about 1-watt output. Since our amplifiers range from 1 - 8 watts, this sensitivity rating suits our purposes. Moreover, the impedance is 8 ohms to present a benign load. 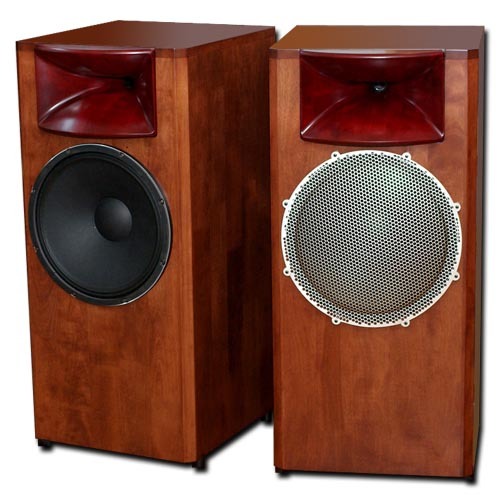 For the woofer, we use the Eminence 2515 Neo* while the tweeter is a B&C DE500**. Although these are pro drivers, they have the desired specifications. "The SS-500*** horn of course is of our own design and manufacture and we have offered it since 1993. In fact we began manufacturing and selling wooden horns in 1984. 20 years ago wooden horn speakers were very fashionable in Japan but because their dimensions were large, it became difficult to place them in domestic residences. Such horn systems thus gradually decreased in numbers over time. Quite naturally, our main product sales adapted to this trend and we transitioned from horns to tube amps and audio accessories. 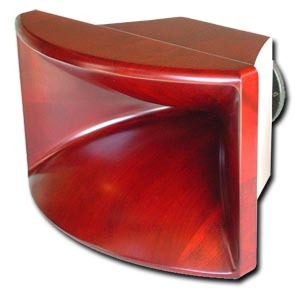 "But because its performance is excellent, our wooden horn continues to lend itself to highly efficient speakers; and our market share for tube amps has increased considerably since our beginnings. Hence I decided to create a new speaker that would take full advantage of our previous horn design and continue also with the choice of material we regard best for sound - the custom-laminated wood of the Japanese Cherry tree. Coupling an open baffle to an open-backed enclosure retains the vibrancy of sound we wanted but also minimizes certain weaknesses which an open baffle concept would otherwise have. As importantly, the overall size of the speaker was reduced to make it compatible with current Japanese residences. The frequency response of the YS-500 is naturally limited but the vital range over which most music actually occurs is fully covered." * Specifications for the Eminence Deltalite II 2515 Neo include a power handling of 300 watts RMS and 600 watts max, a voice coil diameter of 2.5", impedance of 8 ohms, bandwidth of 54Hz to 3.7kHz, magnet weight of 7oz., Fs of 42Hz, sensitivity of 99.2dB 1W/1m, a Qms of 4.56, a Qes of 0.41, a Qts of 0.38, max excursions of 4.8mm, an overall diameter of 15.32" and a mounting depth of 6.81". 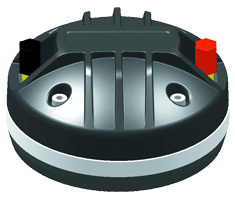 ** Specifications for the B&C DE500 include a Titanium dome diaphragm in a compression chamber with a 1"/25mm throat diameter and a Neodymium motor flux density of 1.9T, a 1.7"/44mm voice coil diameter, 0.11mH of self inductance, power handling of 50/100 watts, bandwidth of 1.5 to 18kHz, a nominal impedance of 8 ohms, sensitivity of 107dB 1W/1m and dimensions of 102mm diameter and 54mm depth. *** Specifications for the SS-500 horn include a cut-off frequency of 500Hz and directivity of 70° horizontal, 30° vertical. 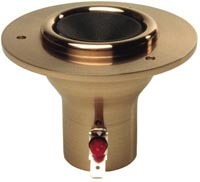 The throat is 1" or 2.54cm in diameter and compatible with a TAD 2001, JBL 2425 or Altec tweeter unit. The throat adaptors for the tweeters of choice are cast in bronze and finished black galvanized. This horn's outer dimensions are 316 x 200 x 260mm WxHxD. Yamamoto's ingredient list prompts some generic comments. Famous hornspeaker manufacturer Avantgarde Acoustic—and their landsmen Acapella—use plastics for their horns while Cessaro, Living Voice and Yamamoto go for far thicker wooden constructs and Alon Wolf favored aluminum for his Magico Ultimate II. Design challenges of horns clearly involve not just geometry and air flow management but material colorations and resonances. It's only conjecture on my part but certain horn colorations might have less to do with shape (the famous cupped hands example) and more with material choice and density. In this context, the cast bronze throat piece is interesting. Bronze also shows up in PHY's tweeter enclosure and the 'trumpet' of the Living Voice Vox Olympian. Different makers seem agreed that this material has sonic benefits when used in the upper frequency ranges. (I recall Eduardo de Lima's Audiopax original Model 88 amplifier which used a chromed brass bridge for its enclosure. de Lima had compared otherwise identical parts of steel and aluminum and much preferred the sound of brass even though he was at a loss to explain exactly why it performed better). Conventional drivers don't lend themselves to hornloading and hornspeakers often sport drive units from the pro market. Bass requires big horns and speakers aimed at domestic use tend to abandon horns for the lower frequencies. To match the heightened efficiency of acoustic gain in the horn-loaded bands becomes challenging with direct-radiating woofers. The latter invariably are the bottle neck. With the YS-500, the Pro woofer spec is a very high 99.2dB (this unit or a very similar stable mate appears also in Nelson Pass' experimental open baffle) while the B&C tweeter without horn achieves 107dB already. Horn gain here is entirely superfluous and clearly not the main reason why this speaker uses a horn. 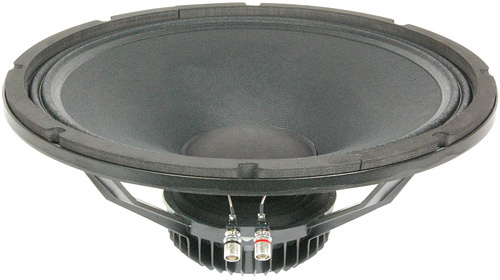 Open-baffle bass must contend with figure-8 cancellation effects relative to baffle width. Emerald Physic and Linkwitz compensate with DSP equalization, Jamo's two models parallel woofers, Yamamoto builds a half box. The YS-500 is a hybrid in more ways than one. It combines tweeter hornloading with direct-radiator bass and the woofer rear wave encounters more immediate boundary effects than it would in a conventional open baffle but far less than in a sealed or vented box. To learn how these observations and associated expectations translate of course requires listening.